I never hung out my shingle with “Editor-at-Large” on it, yet I am more and more often called upon to be just that. In the past few days, I have edited Evan’s blog post for the Barcelona Graduate School of Economics website, edited Steve’s flyer for his new “Luther 500” project, and have offered to read and edit a play written by a former Sunday School student (now a college senior). On Thursday, I will have a Skype conversation with a well-known Lutheran author whose latest book I helped to edit last year. A year before that, I edited a book written by a friend of my Buddhist buddy Grace. What is true with all of these projects is my lack of knowledge base in the subject matter. Evan’s piece was replete with words and concepts totally alien to me. Steve is writing about characters from Martin Luther’s life with whom I have only a passing acquaintance. 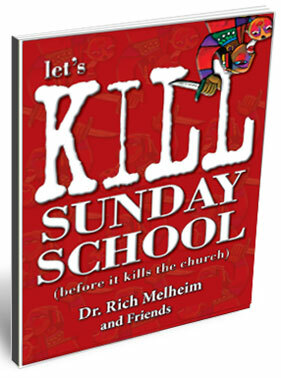 Rich Melheim’s Let’s Kill Sunday School was filled with new material; ditto Don Erickson’s Letters to Grace Song. In these cases, I lean heavily on my knowledge of basic grammar rules, and an innate sense of flow in a piece. Not sure how helpful my “comma needed here!” and “you used that word three times in this paragraph!” are, but my editees have been very gracious and, as far as I know, have taken my suggestions to heart. But it’s not just editing. Last year I wrote two grant proposals for an extremely talented and prolific woman named AIix Lambert. I read through, and boiled down, her vast CV as an artist, photographer, writer and filmmaker. I really enjoyed this work (and learned a heck of a lot about Russian prison tattoos) and hope to do more (though I admit grant writing is easier when the applicant has a solid gold resume ). Several years back, I was hired as publicist for the new Atlantic Music Festival in Waterville, Maine. The festival was run by one of Sheridan’s fellow composers from Curtis. It was a fun gig; I wrote press releases for the upcoming concerts. It was a little weird that I never went up to the festival to attend a single event, but still I had to sound both savvy and “local.” I became quite practiced at using words like “stellar,"
“world class” and “mellifluous” to describe performances I’d never see. I am learning that this is the writer’s life (or at least, the life of most freelancers). I write lifestyle pieces for a real estate company; I write devotions for a Lutheran publisher. I pen lyrics for children’s musicals while working on an op-ed for the Philadelphia Inquirer. Come to think of it, there is not much, writing related, that I am not game to try. So send me your scribblings! I will happily mark them up!! Pitch me your writing project, be it sports writing (well, maybe not sports writing), restaurant review or film criticism! Always up for a challenge! !